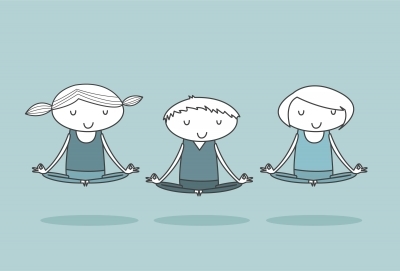 Yoga improves strength, balance, and flexibility – but more than that it teaches us to let go of our expectations and truly live in the present moment. Katie endeavors to teach yoga in a manner that combines breath with motion, creating a beautiful harmony between body and mind. 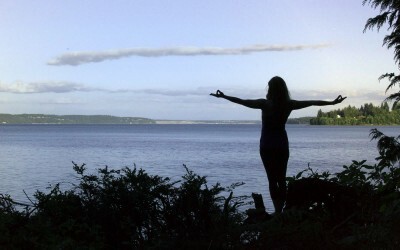 Katie teaches multi-level yoga classes at community fitness centers in the Gig Harbor area. She discovered yoga during a period of illness in 2010 and was pleasantly surprised by how much it improved her chronic lung condition, overall fitness, and quality of life. Her classes are informed by this experience and her subsequent training through Yogafit, a training designed to make yoga accessible to everyone, not just the super-fit. Her teaching style incorporates flowing series of poses that link breath with motion, thoughtful consideration of her students’ abilities, and gentle guidance in healthy body alignment. Letting go of competition in a judgment-free zone. Yoga can be beneficial for singers since it focuses on restoring our bodies’ natural alignment, improving breath support as we work on combining deep breathing with poses that build strength, balance, and flexibility. Yoga also challenges us to let go of competition and judgment, two things that singers often struggle with in our hyper-competitive world. When we let go of competition, we are freed from comparing ourselves to others, able to explore our bodies and discover our own unique voices. Katie has taught yoga for singers workshops at Tacoma Opera and Seattle Pacific University. Read about the workshop here and inquire below if you are interested in hosting an event for your choir or voice students. The benefits of yoga for people with CF are many and varied. A “flow” type yoga class, linking breath with motion, helps to improve lung function, core strength, stamina, and body awareness. Katie is the Executive Director of CF Yogi – a nonprofit that offers free yoga classes to the CF community in a virtual studio. Katie was also invited to London by a team of physiotherapists and the Cystic Fibrosis Trust to film a series of online yoga videos specific to the needs of people with CF. Read more about that project here, and find the videos at Pactster.com. Classes are open to all YMCA members. $12.50 drop-in, 4 class punchcard $40. Cash or checks only, made payable to Key Peninsula Civic Center. Yoga classes by the CF community, for the CF community.